Chagatai Khan: Jang Group & Ansar Abbasi's Obsession with CIA, FBI, Mossad & MI6. Jang Group & Ansar Abbasi's Obsession with CIA, FBI, Mossad & MI6. JANG GROUP'S CONFUSION ON THESE INTELLIGENCE OFFICERS. But the moment you start reporting against the tools of Establishment or bring something exclusive for your newspaper that is against the interest of the corrupt civil or military bureaucracy, you find yourself in trouble. No bureaucrat, whether civil or military, likes the reporter who writes a story on how they are minting money at the expense of taxpayer and sucking the blood of this poor country. They hate to read stories about their “deliberate wrong decisions” at the policy making level which cost the poor people of this country heavily. Thus the reporters who expose their misdeeds or their games become vulnerable. Some of the hard hitting stories filed by me landed me in trouble many times. I think what I faced needs to appear in black and white, and there could be no better pages than the APNS booklet, published for the Annual Awards ceremony each year. But, Mr. Ziauddin did not tell me about the dangers lying ahead in pursuit of the truth. Finally the day came when a genuinely worried Zia Sahib called me in his office in the early days of 2000 along with News Editor, Islamabad Mr. Nasir Malick. I already knew why was I being called because a day earlier Dawn had carried an exclusive story with my byline on its front page about Taliban leader, Mulla Omar’s consent to hand over the most wanted fugitive of the world—Osama bin Laden to Saudi Arabia. In my story I had quoted Mulla Omar as telling the then Interior Minister, Lt. Gen. (Retd) Moinuddin Haider that his regime was ready to review his policy on OBL. Interior Minister had just returned from Kandahar after meeting Taliban leaders. In those days, USA was pushing Pakistani authorities to get the wanted man at any cost and in this backdrop the story was very important. Zia Sahib looked at my face for some time and then spoke with a grim voice. “Rauf its better for you to leave Islamabad for a few weeks and I will suggest you go back to Multan as your safety is in danger”. This was first time since I arrived in Islamabad that I had seen Zia Sahib so much worried after taking a phone call from the Interior Minister. I asked from Zia Sahib in a bit astonished voice as to why should I leave Islamabad? 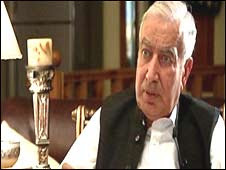 He replied: "Rauf look, the situation is quite serious and I have already talked to Mr. Salim Asmi (then Editor Dawn)”. Zia Sahib disclosed that the Interior Minister was very furious over this story as was authentic and could not be denied. Zia Sahib feared for my safety and advised me to leave the city immediately. He further told me that that keeping my safety in view, Dawn had decided to use the clarification sent by Interior Ministry Secretary Hassan Raza Pasha without any comment or reference to documents which I possessed to support my story. He also told me that my byline would not be used for sometime till the dust settled. After recovering from the initial shock, I started to speak. “Sir, one thing is clear that I had joined the profession out of love and not out of any compulsion nor did I join it because I was not getting job anywhere else,” I told my boss. “Second, I was quite aware of the dangers before filing this important story,” I told him adding: “If I run away today because of the fear of the Establishment, it would always come after me to pressurize me”. “So, one thing is clear that I am not going to run away from Islamabad simply because someone sitting in Interior Ministry does not want to see me in the profession or in the city”, I told Mr Zia uddin, who was listening to me with great anguish as he was genuinely worried about my safety. I told him that I had official papers to support my story, which I had already showed to him before filing the story. “And I would not like to see my story being contradicted,” I said. Our friend and the then News Editor of Dawn, Islamabad, Nasir Malick also supported my view and suggested to Mr Ziauddin that my arguments carry weight and Dawn should not succumb to any such pressure. But Zia Sahib said that things were serious and Minister Moinuddin Haider himself had called him to express his serious anger over the publication of story. Zia Sahib was of the view that as military government could not harm Dawn, it could definitely harm me. That was a very decisive moment in my life. Either to run away to save my life saying “one must live to fight for another day” or I should face the wrath of the mighty Establishment and pay the price for my professional defiance. Mr. Malick came out with a way out. He suggested that Dawn should carry the so-called contradiction of the Interior Ministry knowing fully that it was all rubbish but should in the end say that Dawn stands by its story. He also opposed that I should leave the city. That was done although I could still see signs of discomfort on the face of Mr. Ziauddin who thought my safety was still in danger though he also assured me that the newspaper would stand by me in case of any physical threat. I stayed on in Islamabad and the entire credit goes to Mr. Ziauddin for offering so much support during the testing times of my life. Then the Dawn Islamabad Bureau was joined by Mr. Shaheen Sehbai who had returned from his Washington assignment. My professional life took a new turn. He polished my talent and I started to file more hard hitting stories edited by Mr. Sehbai. 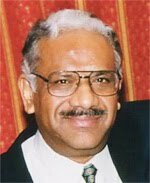 In February 2001 I left Dawn to join The News when one of the most respected Pakistani journalists, Mr. Sehbai, became the first independent group editor of the newspaper. He was the first editor in my entire professional life who allowed full freedom to his reporting team and the time that I spent in The News during his short tenure was the best time of my professional career. Ansar Abbasi, Ikram Hoti and myself made a formidable team at the Islamabad Bureau of The News. Mir Shakeel-ur-Rehman gave us all the facilities at the Bureau and we, led by our professional editor, shook the entire military led Establishment with our hard hitting stories. 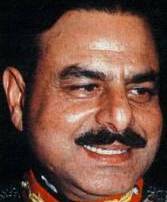 The military rulers could not tolerate our independent and aggressive reporting and the day I filed four secret summaries of the Economic Coordination Committee of the Cabinet chaired by Finance Minister Shaukat Aziz, before the meeting was held, it was the beginning of new threats to my life – second time during the military regime. The summaries were about the Army Welfare Trust seeking a Rs 5 billion grant, UAE refusing to give oil on credit to Pakistan and a couple of other sensitive summaries. The issue of leakage of these summaries, week after week, despite serious checks on my movement in the federal ministries was finally raised in the cabinet. General Pervez Musharraf, after a debate asked the agencies to pursue five reporters of the capital without harming them. The order was to check the officials leaking stories to these reporters and those who were put on the surveillance list of the agencies were Absar Alam (The Nation), Aroosa Alam (Pakistan Observer), Sadiq Sajid (Online), Ansar Abbasi (The News) and myself. The next day, Intelligence Bureau guys approached our houses in Islamabad and started to question our neighbors to get basic information about our ways of living, our friends, relatives, officials etc. We also started to receive messages from our and “their” friends in journalism to “behave “ if we wanted to survive in the city. This produced a sense of harassment in my own family and I could well imagine about the others under surveillance as well. The chase had begun and IB was constantly chasing us openly to stop us from moving in the ministries. Telephone tapping also started as usual and our movements were being watched. I raised the issue with the fearless Shaheen Sehbai. He first decided to publish a story against this first-ever chase of the military government which claimed it had allowed complete freedom of the Press. But SS changed his mind at the last moment. He however wrote a strongly worded letter to General Musharraf asking him to withdraw the IB guys otherwise, The News would publish the story. And the guys were removed the next day. During Shaheen Sehbai's tenure as Editor, this happened twice and we were harassed openly and even threats were issued. But SS always was there to protect his reporters. The thrashing of Chief Reporter The News, Shakeel Sheikh at the hands of some unknown people also shook the entire journalistic community of Islamabad and the message was clear and loud for all of us to behave. In the meantime another story landed me in trouble when I reported how the country’s Finance Minister Shaukat Aziz had written off a Rs. 18 billion UBL loan outstanding against one of the members of the royal family of UAE. I had all the documents to support the first big financial scam of the Musharraf regime, including all the minutes of the meeting in which that decision was taken, the letters written by Musharraf to UAE Crown Prince etc. The President of United Bank Zubair Soomro had earlier written off billions of rupees on account of mark up of this big loan. In addition to it, Government of Pakistan paid Rs. 10 billion to UBL as compensation for the written off loan. Thus the country suffered a loss of Rs. 40 billion because Shaukat Aziz wanted to give favors to his old masters in the Gulf. The same party that got the loan written off, later bought the bank for just Rs.12 billion. Before this story could find space in The News, I was put under pressure and my Editor and owner were once again target of pressure and arm twisting. I was insulted by Shaukat Aziz when I went there to get his point of view on the story as he thought I was working against the national interest. I wondered and asked that how could the country's interest be in danger if I reported loss of billions of rupee to the exchequer. Then PID people were used to convince me to drop the story and many incentives were offered. However to great disappointment of my professional life the story was not used. After Shaheen Sehbai resigned as Editor, situation took a serious turn and we were once again being shadowed by the men in plainclothes. Shaheen Sehbai was the single professional editor in Pakistan who showed defiance and introduced new trends. His departure dealt a serious blow to the journalist community who felt demoralized and depressed and thought that no change could occur in Pakistani society as far as independent journalism was concerned. But, later I collected myself and did not stop myself from filing stories and the new Editor, Mr Salim Bokhari, started to use the stuff with a professional and bold approach. Military government again came hard on me. At one time the situation became so serious that Mir Shakeel ur Rehman came to Islamabad from Karachi and held a meeting with the Secretary Information Anwar Mahmood along with Ansar Abbasi, Amir Mateen and myself. The Secretary’s message was clear that the reporters should “behave”. The trouble for me started when I exposed the summary of the cabinet containing the new defamation laws for the Pakistani Press. The publication of this story in The News was a bomb shell for Pakistani journalists, owners, editors and all others as draconian laws were being proposed to discipline the journalists community. The first thing the military government did was to again send IB guys after me and I was being threatened for exposing the defamation law. The situation got so serious turn that I had to send an Email to all my friends telling them about dangers to my life and my two small kids. The much-needed help came from only four people. The rest were never moved. Najam Sethi and Jugnu Mohsin (Friday Times & Daily Times), Amir Mir (Editor Weekly Independent) and Shaheen Sehbai (Washington) rushed to rescue me. Not a single newspaper organization, neither the newspaper owners bodies who were otherwise voicing their concerns in newspapers against the proposed law, issued a single statement to condemn such drastic action against me. I was left all alone to face the consequence of exposing the proposed law before time. Finally Mr. Sethi came to my help by writing an editorial in his Daily Times titled “ Shooting the Messenger”. Amir Mir also carried a story “Paying the price”. Shaheen Sehbai talked to some international bodies like CPJ and RSF who also issued statements to rescue me. Sometimes I really wonder whether is it only the reporter’s business to face the ugly methods of the Establishment if he crosses the drawn lines and tries to inform the people, their basic human right. I for the first time felt that one has to pay the price for the sake of his or her own professionalism. No one from the owners of newspapers or editor would ever help anyone in Pakistan because of their own stakes in the industry. The troubling question that arises is that should we the reporters --- also start looking after our financial interests like our owners and editors are presently doing? Or some defiant voices should continue to resist the Establishment in the larger interest of the profession and the masses? Why do the owners and editors love to "sell" their reporters to the government and never help them when they are in trouble. The journalists bodies have also almost become impotent and inefficient like other institutions of the country. Just recently, the vice-president of the Pakistan Federal Union of Journalists (PFUJ) was complaining against harassment by agencies. When he was suggested to arrange a protest rally, he changed the topic. “Does that mean that Musharraf had become "the state" and whosoever writes against his policies or decisions is anti-state,” I asked the Secretary. He had no answer. Perturbed over my discussion with the Secretary, I discussed the issue with my colleague Ansar Abbasi. He took no time to pick up the telephone and rebuke the secretary for using such remarks against me. I was so enraged that I was even ready to move the Supreme Court of Pakistan but later the secretary took his words back and offered an apology. But, the question is how could some low ranking agencies guys or even a federal secretary be the judge of patriotism of any person, especially us reporters. They still fail to understand the difference between the state and the government. But, despite all these odds, I believe journalists should not give up. Unlike the owners and editors, they should protect the public interest as the people have faith in them and still consider them as the eyes and ears of the society. The writer, Special correspondent, The News, Islamabad, wrote this piece "The Hot Pursuit" for the official Awards Ceremony Booklet of the All Pakistan Newspapers Society (APNS) after he won the "Best Reporter Award" for the best scoop of the year. The Awards ceremony for Awards Year 1999-2000 was held on March 18, 2003. The mass media has to promote Pakistan’s national interest, ideology and culture. The media must stand upright and speak the truth for the sake of establishing a just society and a democratic way of life. Only a balanced approach could help achieve the desired objectives and transform the media into a meaningful social institution. Hopefully, all those connected with the mass media in some capacity do realise that wrong assumptions lead to incorrect, illogical conclusions and oversimplification of views when it comes to analysing issues, solving problems, and resolving crises. From the viewpoint of the power and influence of the media (press, radio and television) in world politics, crises and conflicts, there is a need to consider the issue of moral panic, biases, media representation and the need to make media contents and presentation balanced and objective. Moral panic is some exaggerated or imaginary threat to society, stirred up by exaggerated speculation and sensationalised reporting in the mass media. In Pakistan some media groups must review their policies, mere criticism for the sake of fame, damages national interests. Like the response of one of the well known media Group( Jang Group) on 18th amendment was really disheartening, instead of endorsing Govt’s step it went on maligning Govt. Media must adopt a balance role, there is difference between trial and accountability. Oath Under PCO & Memory Loss of Ansar Abbasi. US CIA: What Happens When the Gloves Come Off ! Jang Group/Express News VS Sindhi Community. Judicial Amnesia & Martial Law Duties.